‘Tis the season for New Year’s resolutions, and what’s the second most common type of resolution, after losing weight or getting fit? Better money management! Especially right after the holidays, when so many of us go overboard and blow our budget on too many gifts and too many nights out celebrating, getting a good handle on our spending seems like one of the best ideas ever! Maybe you’ve got overdue bills piling up. Maybe there are repairs or expenses that you’ve been putting off because you hadn’t been able to save up enough to pay for them. Maybe your resolution is to finally take a family vacation or go back to school, and the only thing that’s been keeping you from those things year after year is constantly being in a state of playing financial catch-up. 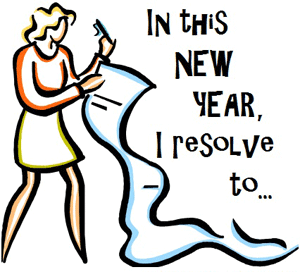 Starting the year with a National Installment Loan is your chance to get out of your own way and make those resolutions happen. A good credit rating didn’t used to be as important – or as difficult to keep – as it is these days. If you’re among those of us whose credit is less than perfect, you might think that personal loans are now out of your reach. The National Installment Loan will change your mind about that; approval is based completely on your current income and not at all on anything from your past. After all, what are the odds that falling behind and missing some car payments three years ago is really a determining factor in whether or not you’ll faithfully make timely payments on a loan today? Realistically, people’s circumstances change over time, and a bad credit rating doesn’t prove that a person won’t make all their payments on time, any more than a good rating guarantees payment. There’s no credit check required for approval, but that doesn’t mean that a National Installment Loan doesn’t affect your credit rating at all. Installment loans are designed to be repaid over a longer period of time. During that time, if your payments are made on schedule, your lender will be reporting that fact to the credit bureaus. The more positive reports are documented, the more likely that your credit score will see a positive bump as a result. Rebuilding credit generally requires having credit, creating a difficult catch-22 situation! If you’ve had difficulties rebuilding your credit score because nobody was willing to loan you money with which to create positive marks on your credit record, a National Installment Loan may be exactly what you’ve been looking for. If you’re like most of us, you occasionally forget to pay a bill. In fact, something as simple as being forgetful about financial matters can do serious damage to a person’s credit over time. With a National Installment Loan, the repayment is arranged at the same time as the loan is approved, so it’s impossible to forget. You provide bank information so that the loan funds can be deposited directly to your checking account; at the same time, the lender sets up automatic drafts from that same account so there’s nothing for you to remember to do. Payment will be automatically withdrawn from your checking account on each of your paydays in the amount and for the length of time that you agree to in the loan terms. All you have to do is make the adjustment to your personal household budget to account for this withdrawal, the same as any other automatic draft payments you might have set up for your car or utilities. Since the payment will be drafted on payday, you don’t need to worry about not having enough money in the bank on that day, and the loan will be paid off faster – or in smaller payments – due to being paid every payday instead of every month. It’s a win-win for everyone involved! no credit. 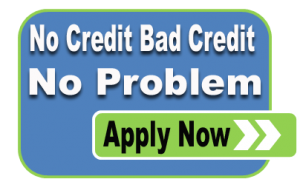 A no credit loan is the answer! It’s tough to get by with bad credit, or even with no credit. Our current economy is designed around the assumption that houses, cars, vacations, and even gas and groceries will be purchased on credit. So what do you do if you’ve either maintained a cash basis, or went through a rough patch and have a blemished credit record? It’s tempting to throw up your hands and give up, thinking you’ll have to wait until some years have passed and negative marks have “fallen off “ your credit report, but don’t lose hope! With no credit loans from NationalCashCredit.com, you can indeed borrow money when you need it, even with no credit or bad credit. No Credit Loans Return the Budget Flexibility You’ve Been Missing! One great thing about having credit cards or a line of credit from the bank is that you could buy or pay for things without having to wait for your paycheck to clear. You know you’re getting paid on Friday – but the electric bill is due on Wednesday! You know the money’s coming, but you don’t have access to it! With credit – whether the traditional kind or a no credit loan – you don’t have to wait. Instead of stressing over whether you’d be hit with a late fee for paying just a couple of days late, you could just pay the bill, and balance it back out on payday. Life can play some pretty mean tricks on us sometimes – the plumbing backs up, or your car fails inspection just at that point in the month when there’s nothing to spare. Someone with a credit card can just charge it, but what do you do if you don’t have one? It’s not as if this is the kind of situation that can wait for your next paycheck or the one after that, for the budget to permit some flexibility. No, you have to take care of it now – and a no credit loan is exactly what you need. No credit loans are fast! The application process is fast, the approval process is even faster, and the lenders get the money to you in a matter of hours! Have you ever tried to finance a car? You can spend all day at the dealership, waiting in the showroom, in the salesperson’s office, talking to the manager, and filling out forms. Applying for a credit card? Be ready to wait two weeks for a response through the mail. Not only can you get a loan without credit, without a credit check or collateral, but you get it faster than in traditional forms of lending. So when you need to fix the car or pay the rent, this is really the way to go! Same day payday loans are a fast way to get the cash you need. Stuck for cash? Whether it’s an unexpected medical bill, household repair, or other personal emergency, we all have times when we need more money than we have available. At times like that, same day payday loans can be the perfect answer. The application is fast and simple, response time is quick, and the repayment is simple. The entire business model is set up from a customer-centered perspective, making it as easy as possible to borrow, use, and repay funds whenever they are needed. It’s one thing to say that you can get a loan “same day” but that only tells part of the story. Before you get your same day payday loan, you fill out an application that’s just a few basic questions. The data will be relayed through a secure encrypted connection, so that nobody can see the information except you and the intended recipient. Approval processing takes less than two minutes, and you’ll be immediately provided with all the information you need about the loan amount approved, the fees and interest, and the payment date. The entire process happens online – you even sign the forms online, so there’s nothing to print, mail, or fax. Our credit scores are used for so many things these days, they’ve become a routine and expected part of life. Not only lenders check your credit these days – landlords, and even employers pull your credit score before doing business with you. If you’re one of the many people whose credit was damaged by the economic downturn, the housing upheaval, or the troubled job market, that temporary problem has been multiplied and extended by years. 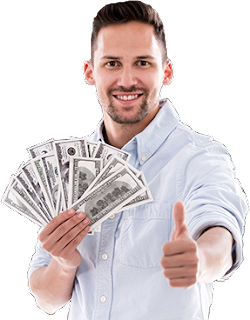 At least there is one way for you to borrow money easily and without the anxiety that comes with credit checks – same day payday loans. Since there’s no credit check, approvals are based on your current income and ability to repay, instead of something that may have happened years ago, and may even have been completely out of your control. We usually think of payday loans being for less-pleasant financial needs – emergencies of some kind. It’s good to keep in mind that those are not the only times you can use a same day payday loan! Does your favorite travel website have a special deal on a trip you’ve been wanting to take, but the deposit is more than you have on hand? Did a loved one’s birthday or anniversary sneak up on you, and now you need a great present fast? Just complete the quick and easy application, and the cash will be on its way to you the same day. There are all kinds of reasons to want to spend a paycheck that we haven’t received yet, and same day payday loans are a foolproof, hassle-free way to do that!